This entry was posted on February 1, 2012 by joeleagle. 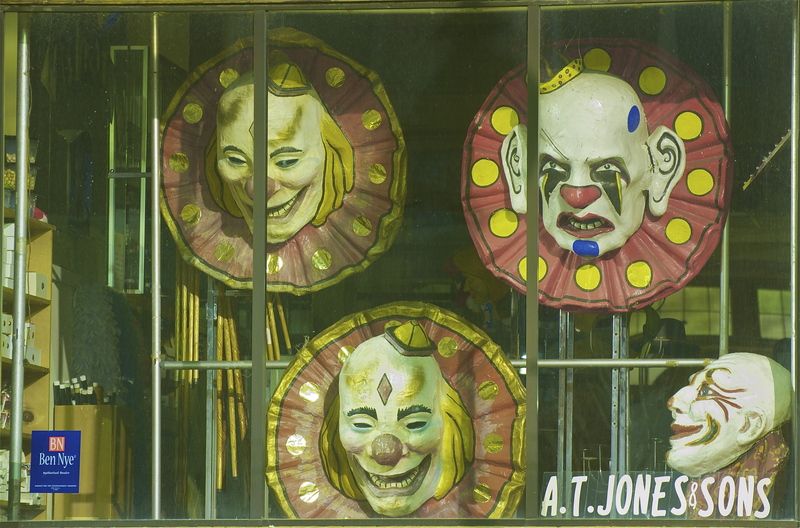 It was filed under Odds & Ends and was tagged with A.T. Jones & Sons, Baltimore, clown faces, Clowns. These Clown masks are a bit scary !! Joel, I know for a fact that one of these clowns is Bobo’s father! You know how much I hate clowns! Ahhhhhhhhhhhhhhhhhhhhh!!!!! !